Generous community donations of school supplies, books and backpacks helped 586 youth in our programs get a great start to the new school year. 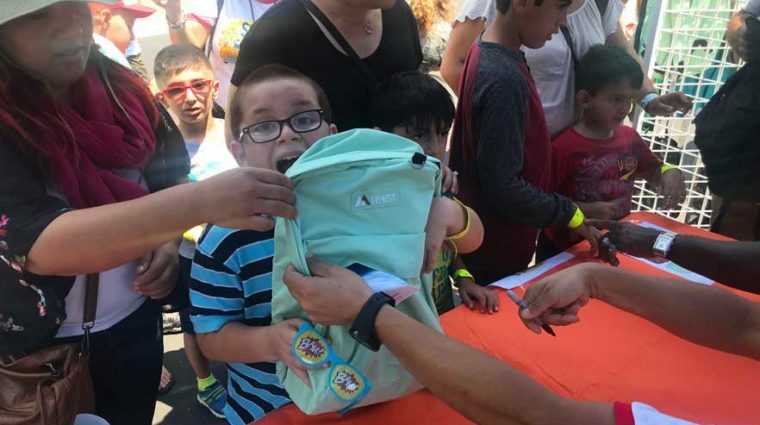 The donations included backpacks and essential supplies valued at more than $25,242. Thank you to Henry Schein Orthodontics, Mums’ Custom Tattoos, Ricoh San Diego and Shui Chiropractic & Wellness for helping our youth. The donations helped boost confidence and excitement for the children and their families as they embark on a new school year. Youth of all ages benefited, from kindergarten through high school.